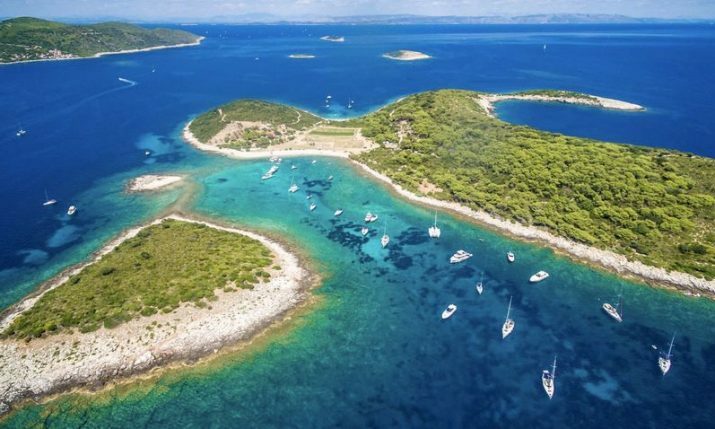 The entire island of Hvar consists of a multitude of islets of land, sifted among the sea of stone pits, created by the crevices of the creek and the river of sweat of people who, in the hot sun, managed to find an oasis for olives, grapes and figs. On the same coast to the highest peaks of the island, the hands created life from stone. The life that was born of stone and grown on stone was actually their life, hard and lasting, unforgiving and modest, but above all a worthy life. That humility and dignity created pride and passed from knee to knee, debuting the next generation with the will of life. With the human will, they carried their faith based on stone and emerged from it. Only such solid and persistent faith could have created true love for the island and the sea in people; earth and stone, and the interpersonal love of communion, which celebrated the beginning of this and that life with a lips song. 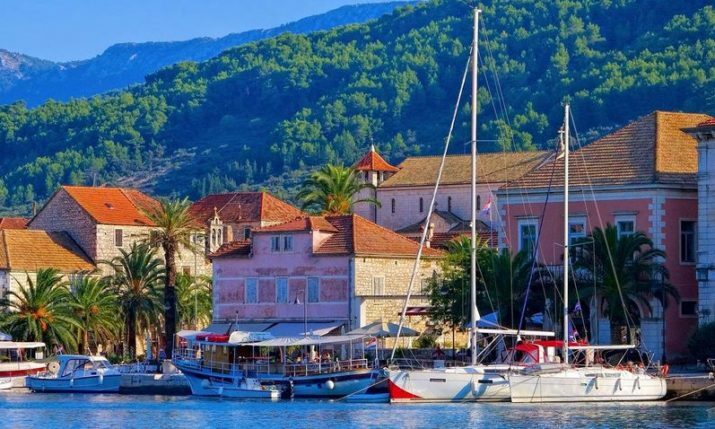 It is probably in that human love and faith that one can look for an answer to the question of what makes Hvar so great and special. 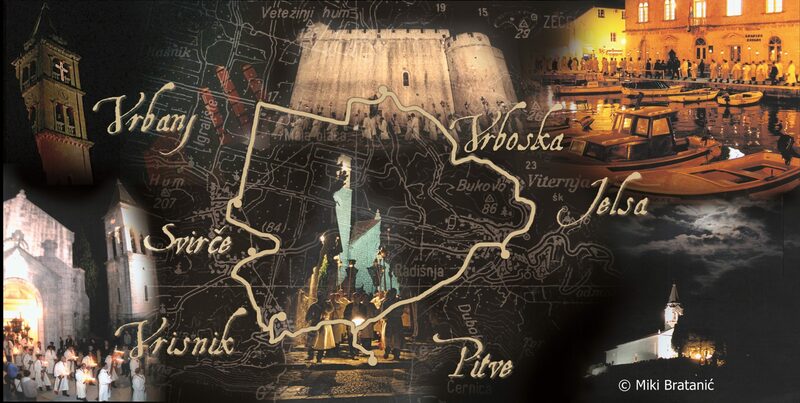 The most spectacular example is just from the heart of the island in the form of the almost five-centuries-old tradition of the procession ‘Following the Cross’ consisting of six places: Vrboska, Jelsa, Pitve, Vrisnik, Svirče and Vrbanj. 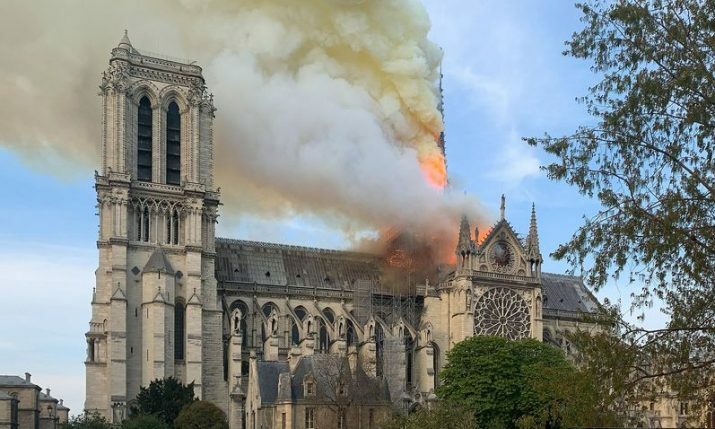 This unique religious tradition has taken place uninterrupted before Easter for nearly 500 hundred years. 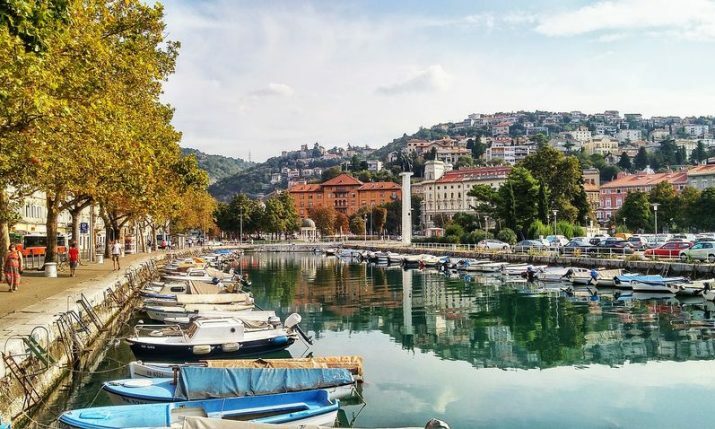 Za Krizen (Following the Cross), which has UNESCO protection, has been maintained by believers in the small towns and villages of the central part of the island, from children to the oldest residents, for 500 years. 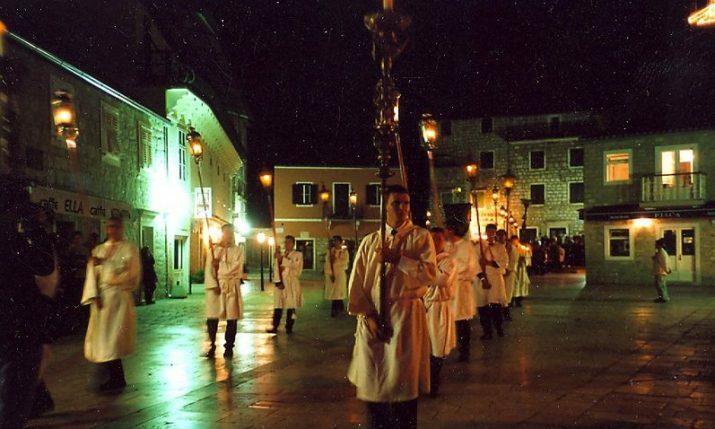 After mass on Maundy Thursday before Easter, six villages on Hvar – Vrboska, Jelsa, Pitve, Vrisnik, Svirče and Vrbanj – send out a group that will proceed through the other villages in a circle, covering twenty-five kilometres in eight hours before returning home. Each party in the procession is led by a cross-bearer who walks barefoot or in socks, never resting. 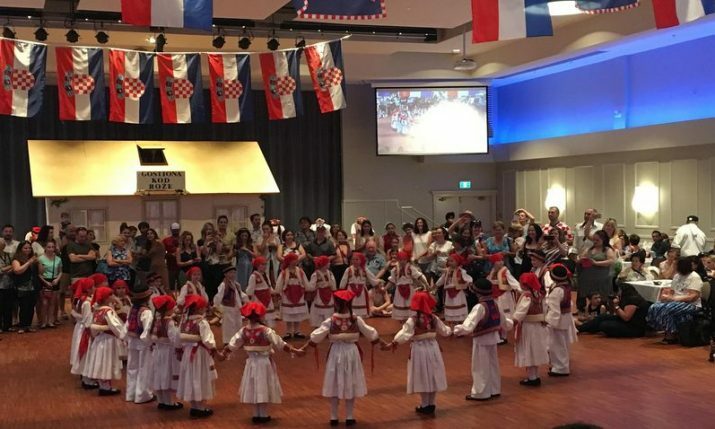 It is a long-established and inalienable part of Hvar religious and cultural identity, the procession connects the communities of the island to each other and to the world Catholic community. On the night of the Maundy Thursday, when the moon shines in its full splendor on bell-towers, churches, vineyards and olive groves; from each of the aforementioned places, around 10 pm, the procession for their cross begins. In a clockwise direction, the procession passes through the places, stopping in the churches. In the procession participates the cross-bearer, who has the honor to carry the cross, his personal chosen accompaniment; singers and those who carry various candles, and other faithful people. The procession lasts all night and returns to its home church in the morning. It is perhaps the most prominent part of the procession, as locals gather in front of the church to welcome the sacred cross and the physically tired, but spiritually rejuvenated people who, carried by a divine energy, sing from their throats. In Jelsa at the end of the procession, the cross bearer throws himself in the full race with the cross in the embrace of the priest, who is waiting there with the locals. Particularly interesting is the encounter with the deceased i.e. 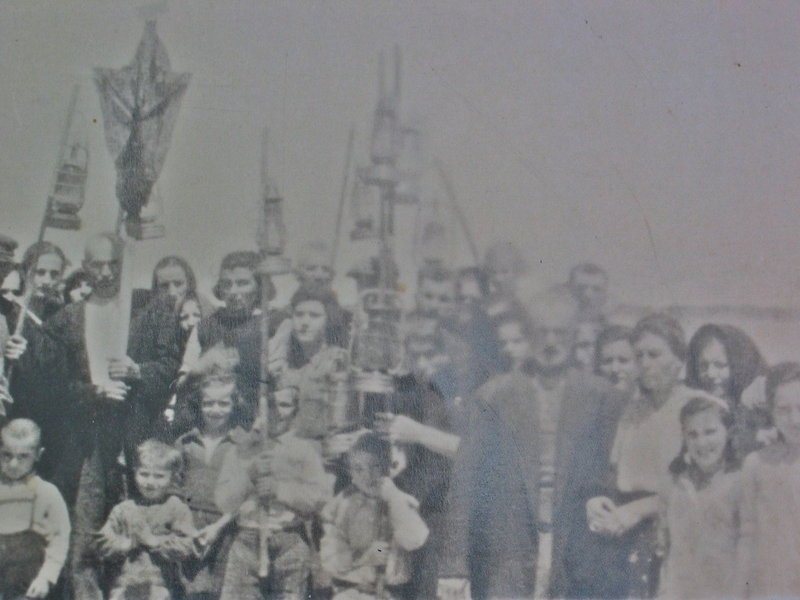 the custom to return to the cemetery (custom in Vrbanje), and pay tribute to all the deceased, who can no longer participate in the procession. At this point, the entire village is united in song at one place, both physically and spiritually. 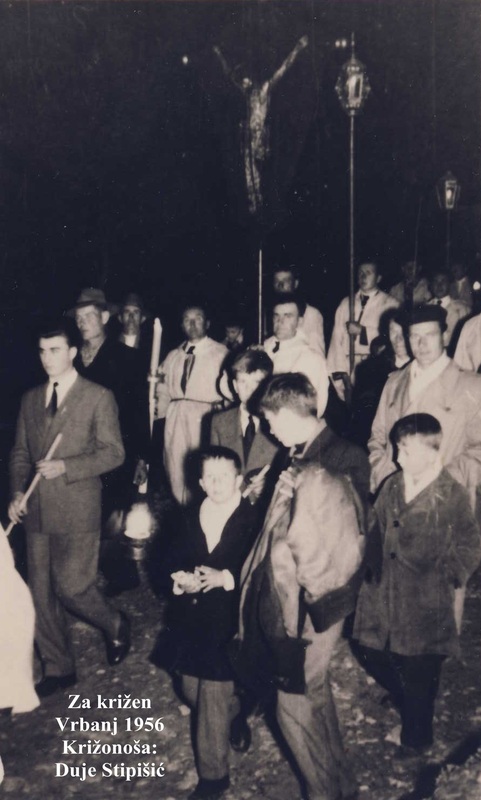 After the song, it is customary for the cross-bearer to bless the gathered people with the sacred cross he bore all night. This is where the procession ‘Following the Cross’ is completed. As Good Friday is a fasting day, traditionally Bakalar (dried cod) is prepared. Before one goes to bed, it is customary to drop by the cross-bearers’ house for a portion of that hearty delicacy. 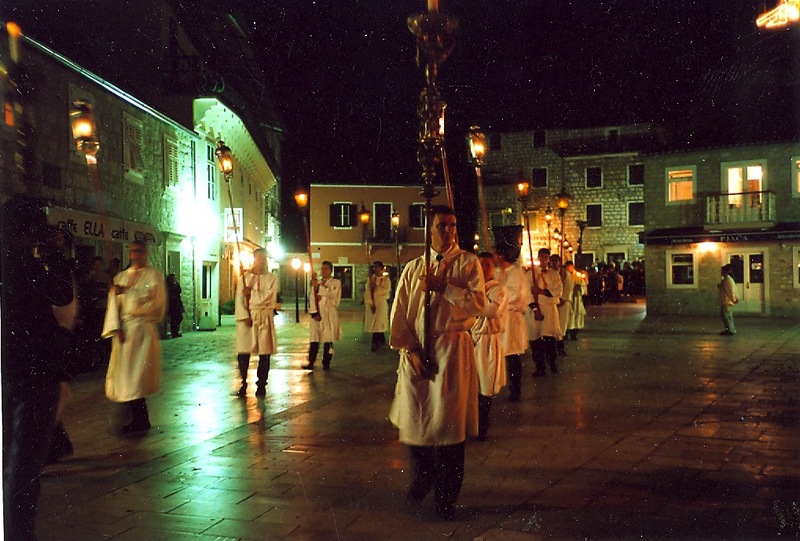 During the German occupation of the island of Hvar in 1944, the procession was forbidden. In order to keep the tradition alive, Hvarans who were in the camp Ell Shatt in Sinai improvised their churches, the “graves of God”, the cross and candles, and in a strange world, away from their homes, in the eyes of many foreigners, held the procession and once again proved their unwavering faith. 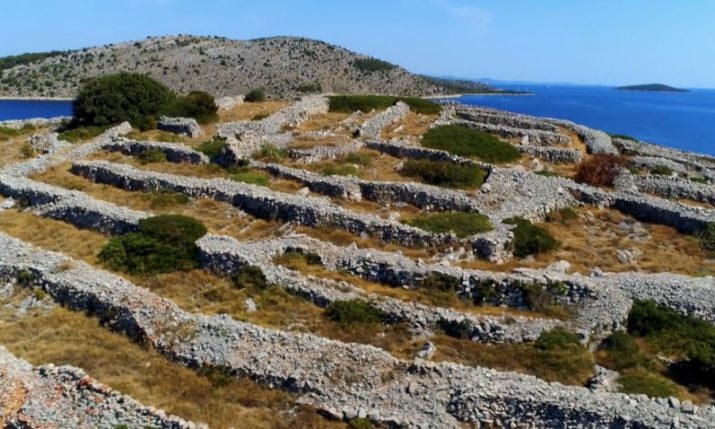 Following the Cross has been listed on the UNESCO list of protected non-material heritage, which is a great acknowledgment for the island of Hvar, which has a total of three sights on this list, and for the whole of Croatia. The greatest acknowledgment is deservedly devoted to the self-sacrificing people, the faithful and the devotees who have protected their procession, leaving another of our values worthy of pride.